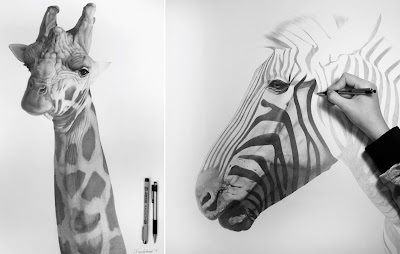 Patience & Precision with a Ballpoint Pen. Modern Perspective on Classical Realism. Realism takes a unique kind of patience and training. 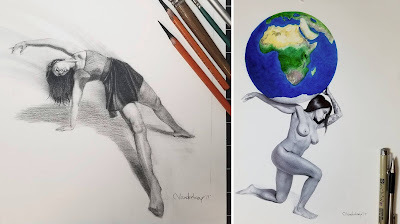 In the case of Christine Vanderkaap, a talented Australian who now calls Austin home, her appreciation of classical technique was developed in an intensive drawing program at the Los Angeles Academy of Figurative Art. While she plans to continue exploring new mediums over the course of her artistic career, she has mastered an incredible level of painstaking skill with a ballpoint pen. 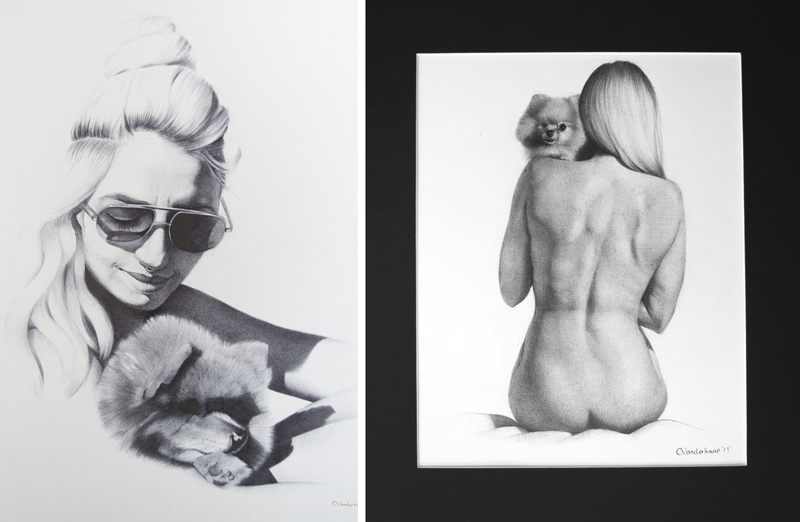 Much of her current collection is simple in concept, ink on paper, but the detail is so intricate it almost looks like a black and white photograph. You have to get a closeup look to actually see her pen strokes. Each piece takes hours of careful drawing either in her studio at Cement Loop or in a local coffee shop. Christine does beautiful studies of the human form with all of the muscles and contours, but her favorite subject matters is animals. 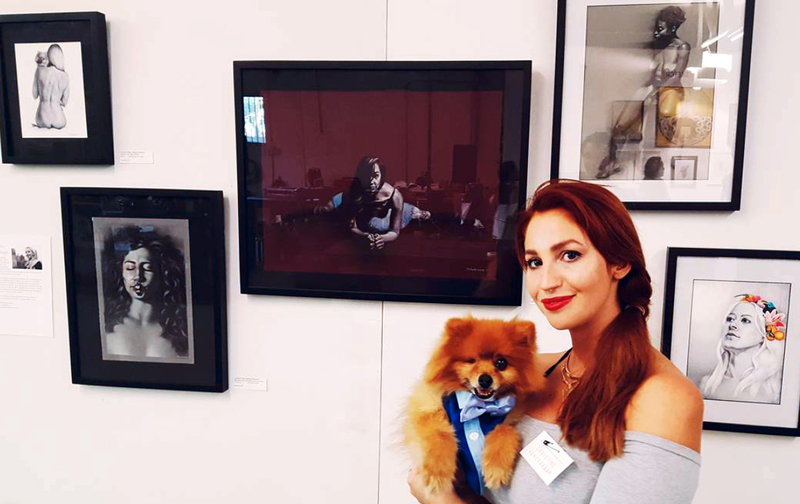 I love that Christine has found a way to bring another life passion into her work through supporting animal rescues. Many of her pieces depicting endangered species benefit wildlife charities. She has a lovely way of shining a light on Mother Nature's most majestic creatures, from bees to zebras to puppy dogs. Speaking of puppy dogs, you will often find Christine accompanied by her fur baby Winks. He sits patiently by, follows along on adventures and finds his way into her work on many occasions. Every new piece Christine shares is that much more amazing with all of the time and love she pours into the ink on paper. Stay tuned for so much more from this talent!